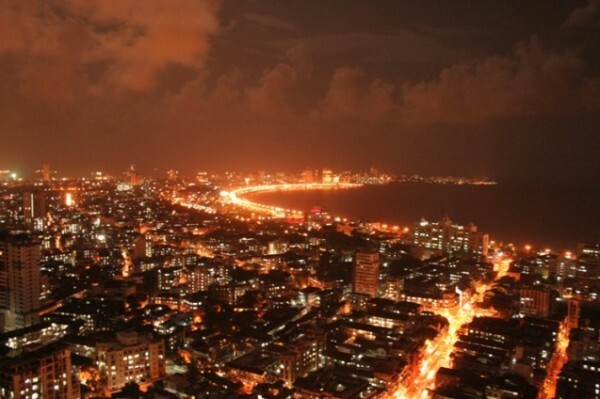 Mumbai is the financial capital of India as well as the entertainment capital of the country. Mumbai is also the capital of Maharashtra state of India. It is also one of the most populous cities of India which makes it one of the most crowded cities in the country. Besides this, it is also the most popular tourist destination in India. In this article, we have compiled a list of the best tourist attractions in Mumbai to start your holiday tour and vacation with your friends or family members. The Gateway of India is the most popular tourist attraction in Mumbai and also the most visited places in the city. It is located in the South Mumbai, the richest area of the country. It was built during the rule of the British Raj in India. The Gateway of India height is 26 m and opened on 4th December, 1924. This monument is built with Indo-Saracenic Revival architecture style. Every day, thousands of tourists visit this beautiful and historical monument. The Gateway of India is also a popular place for protests against the Government and other incidents. Essel World is the most popular amusement park in India based in Mumbai. Essel World is also one of the largest theme parks of India, owned by Pan India Paryatan Pvt. Ltd. It is open for general public between 09:00 AM to 07:30 PM on all days. Please follow our guide on how to reach Essel World from various locations of Maharashtra. It is one of the most popular tourist attractions in Mumbai. 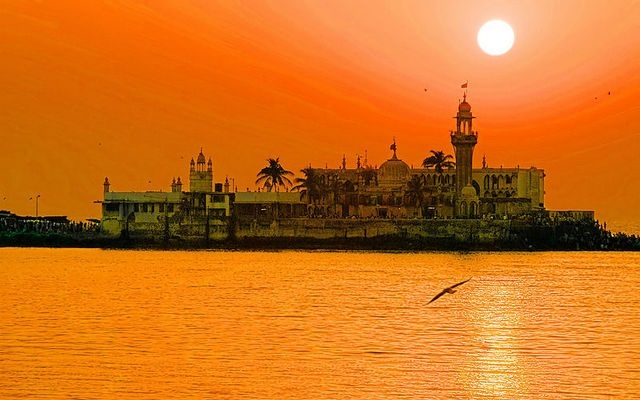 Haji Ali Dargah is one of the most sacred places for Muslims in India. It is located on an islet off the coast of Worli in the South Mumbai. It has a height of 26 m and architecture is based on the Indo-Islamic. This dargah is visited by Indian celebrities from time to time for prayers. It is often visited by Bollywood celebrities for their film success. 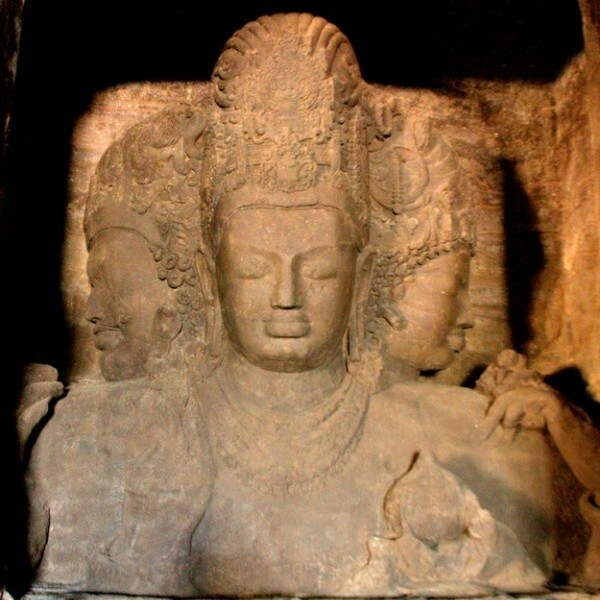 Elephanta Caves are located on Gharapuri in Mumbai which are also known as Elephanta Island. 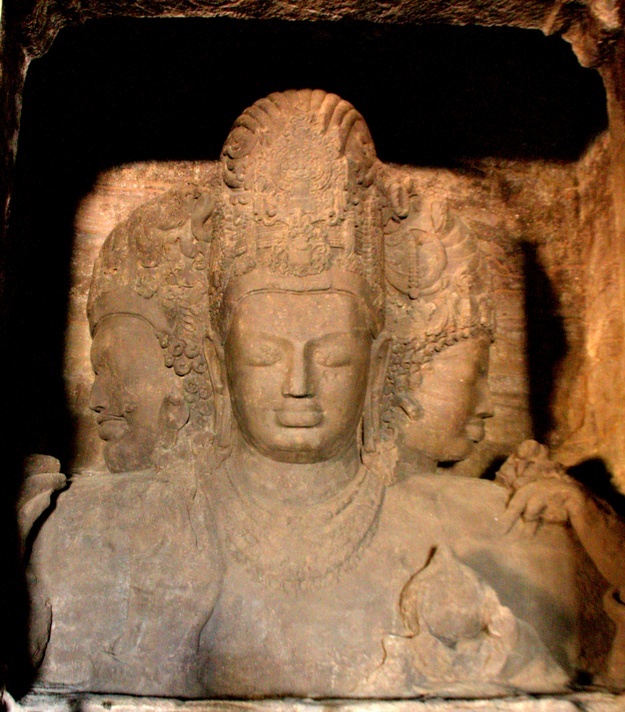 You haven’t required to go far places to see historical caves of India. This is just 10 km far away from the east of Mumbai city in Maharashtra. This is the perfect place to see historical caves in less time and minimum budget. Prince of Wales Museum is the main museum in the city of Mumbai which is located in the Fort, Mumbai. This museum is now known as Chhatrapati Shivaji Maharaj Vastu Sangrahalaya. Prince of Wales Museum is one of the nearest tourist attractions from the Gateway of India. Do not forget to visit this beautiful and historical museum. 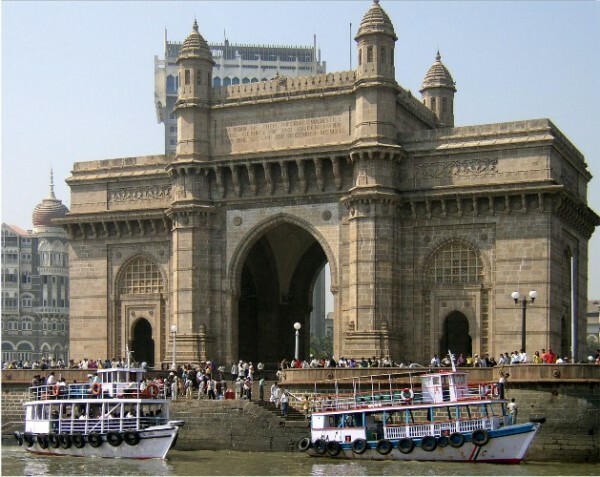 It is one of the most popular tourist attractions in Mumbai for history lovers. Girgaum Chowpatty, popularly known as “Chowpatty”, which is situated between the Marine Drive and Girgaum area of Mumbai. These beaches generally flooded with so many people to enjoy their best time. During Ganesh Chaturthi festival, this beach flooded with lots of people with idols of Lord Ganesha. It is one of the most popular tourist attractions in Mumbai. Marine Drive is a 4.3 km natural bay in Mumbai which is one of the richest areas in the city. Marine Drive connects Mumbai’s popular business points like Malabar Hill, Nariman Point and others. Only a few people know its original name “Netaji Subhash Chandra Bose Road” and local Marathi people used “Sonapur” for the area. We are recommending you to visit the Marine Drive to make one of the precious moments in your life. It is one of the most beautiful tourist attractions in Mumbai. 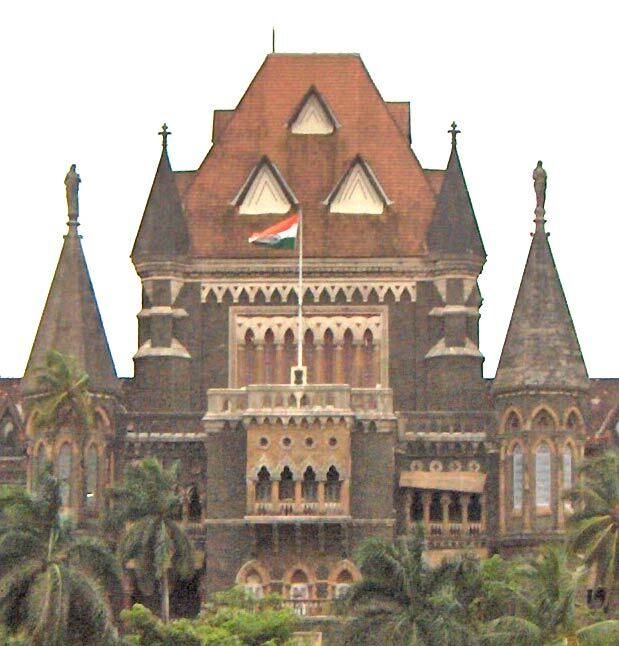 The Bombay High Court is the highest court in state of Maharashtra. It is also one of the oldest high courts in India. It is situated on Dr. Kane Road, Fort, Mumbai. The Bombay High Court building is one of the most important and historical building, attracts a lot of tourists regularly. 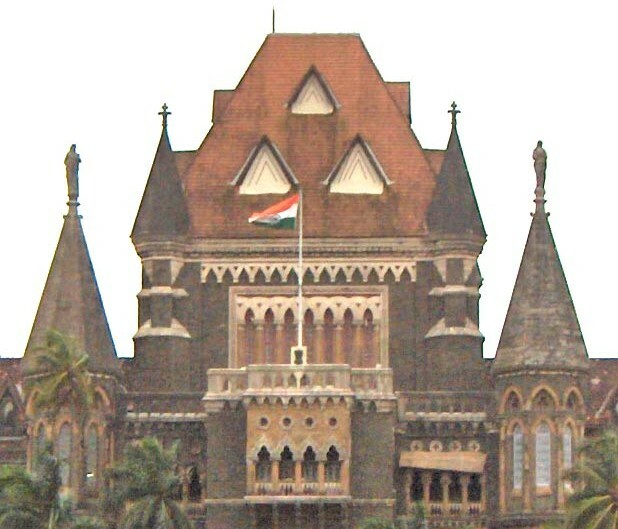 The Bombay High Court is also located in the Fort area. The building is one of the most beautiful tourist attractions in Mumbai. Bandra Worli Sea Link is the engineering marvelous in India. This type of bridge has never been built in India earlier. It connects Bandra and Worli in the shortest way. This bridge has been a new attraction of Mumbai due to its construction importance in India. You have to pay toll fee to use the sea link as per your vehicle type. It is one of the most popular tourist attractions in Mumbai. The Taj Mahal Palace Hotel is one of the oldest five star hotels in India, which was opened on 16th December, 1903 by Tata Group. It has total 7 floors and 560 rooms including 44 suites. The hotel’s design was made by Siddhesh S., Sitaram Khanderao Vaidya and D. N. Mirza. It is one of the most popular tourist attractions in Mumbai. Siddhivinayak Temple is a Hindu temple dedicated to the Lord Shri Ganesha. It is located in Prabhadevi area in the city of Mumbai. The temple was originally constructed by Laxman Vithu and Deubai Patil. The temple is often visited by Bollywood celebrities to get blessings. It is also one of the richest Hindu temples in India. It is one of the most visited tourist attractions in Mumbai. Sanjay Gandhi National Park is one of the most popular tourist attractions in Mumbai. The national park is spread over a land of 104 square kilometres. The park attracts more than 2 million visitors every year. It is one of the largest national parks in India which is situated in the metropolitan area. The park is also considered as one of the most haunted places in India. Jehangir Art Gallery is one of the most visited art galleries in Mumbai. The art gallery was built in 1952 at the urging of Homi Bhabha and K. K. Hebbar. This beautiful art gallery is situated at Kala Ghoda, in South Mumbai. The gallery was designed by G.M.Bhuta for G.M. Bhuta & Associates. You should not miss an opportunity to visit this beautiful and amazing art gallery. It is one of the most beautiful museums in Mumbai. I have visited Dr Bhau Daji Lad Museum during my visit to Mumbai. It is one of the best museums ever I have seen especially it’s beautiful interior and design. It was not less than a royal palace. The tickets are very much less and photography is allowed free of cost. Article last re-published on February 13, 2017. Nice post…I find here very useful information about tourist attraction in Mumbai…Thanks…. Thank you for the wonderfully informative blog. It’s been a great reference. Also, I love your photographs. I am planning a trip with my parents for Mumbai. The beaches and people of Mumbai are just awesome. The nightlife here is admiring too. It is one of the best cities in India I have ever visited during my travel from London to India. Very helpful information for project for my son.and i also found new places . Amazing article on Mumbai Darshan, I have an Inbound tour packages for Mumbai and alseo car rental services. Will be reaching Mumbai by Flight on 16/10/16 at 8.30 am & have a return flight from Mumbai on the same day at 9.00 PM. Need to visit the best & maximum places in Mumbai. Will be coming with my wife & 9 year old son. Thanks for providing such a nice list of tourist attractions in Mumbai. Could you please categorize tourist attractions in Mumbai, based on seasons, such as Summer, Winter, and Rainfall. Thanks in advance. nice post, Mumbai is really India’s most beautiful city. i also found about India’s famous tourist places on this website. Mumbai is the financial capital of India. This city is visited by millions of travelers from all over the world for business and vacation needs. Here are popular tourist places to see in Mumbai compiled by the weekend leader.